ShutterCount bei DIRE Studio Kft. • Added support for Canon EOS 6D Mark II, 200D/Rebel SL2/Kiss X9 via both USB and Wi-Fi connections. • Added support for Canon EOS 7D in the Live View Pack. 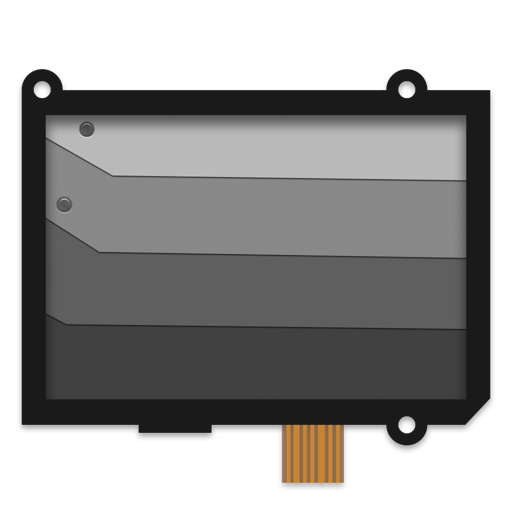 • Memory cards are now scanned automatically. • Added a warning message when a scanned memory card contains no usable image. 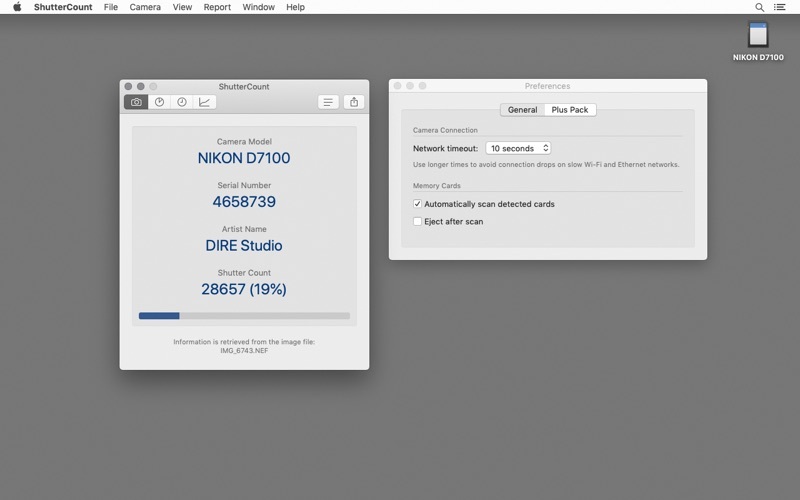 • Added a warning message when a camera storing shutter count information in image files is connected via USB. • Fixed a potential crash when a just-deleted history log was selected for display. • The app no longer displays a negative live view counter when the 5D Mark II returns inconsistent data due to camera firmware bugs. The live view counter will be 0 in this rare case. 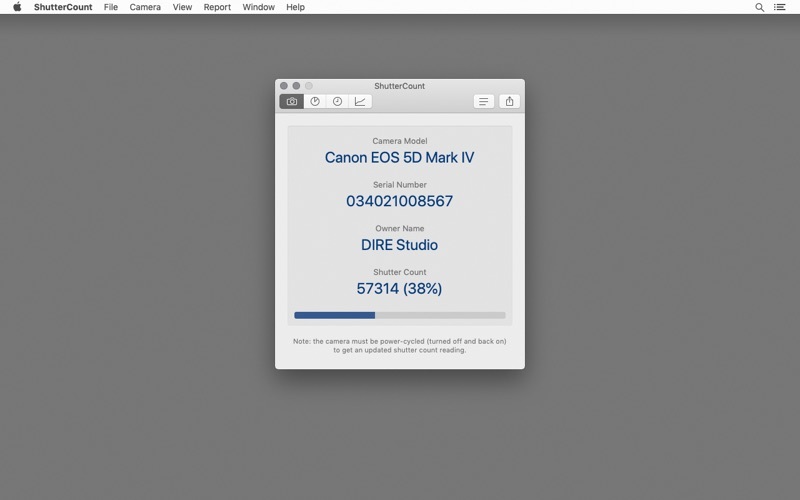 BREAKING NEWS *** ShutterCount 3 supports all recent Canon EOS DSLRs and includes a new File Mode to read the counter stored in Nikon and Pentax files! • Canon EOS-1D X Mark II, 5D Mark IV, 5DS, 5DS R, 77D, 80D, 750D, 760D, 800D, 1300D, 8000D, 9000D, Kiss X8i, Kiss X9i, Kiss X80, Rebel T6, Rebel T6i, Rebel T6s, Rebel T7i using direct connection. • Canon EOS-1D Mark II, 1D Mark II N, 1D Mark III, 1Ds Mark II, 1Ds Mark III via image files. • Nikon Coolpix A, D2H, D2X, D2Xs, D3, D3S, D3X, D4, D4S, D5, D40, D40X, D50, D60, D70, D70s, D80, D90, D200, D300, D300S, D500, D600, D610, D700, D750, D800, D800E, D810, D3000, D3100, D3200, D3300, D3400, D5000, D5100, D5200, D5300, D5500, D5500, D7000, D7100, D7200, Df via image files. • Nikon 1 AW1, J1, J3, J4, J5, V1, V2, V3 via image files. • Pentax *ist DL, *ist DL2, 645D, 645Z, K-1, K-3, K-3 II, K-5, K-5 II, K-5 II s, K-7, K-30, K-50, K-70, K-500, K-m, K-r, K-S1, K-S2, K-x, K10D, K20D, K100D, K100D Super, K200D, K2000, KP via image files. 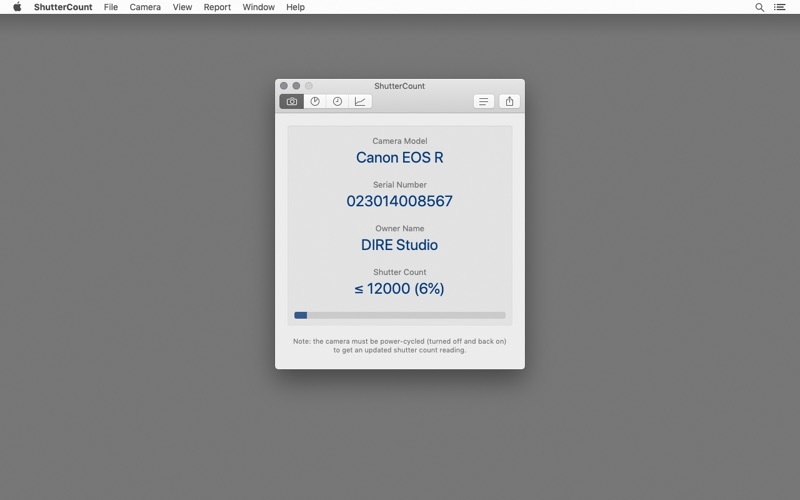 • File Mode to work with cameras storing the counter in image files. Just drag&drop an original image (or even the memory card's icon) onto the app and it will display the counter immediately. In case of memory cards ShutterCount finds the latest image automatically. Both JPG and raw formats are supported. • Introducing the Live View Pack. 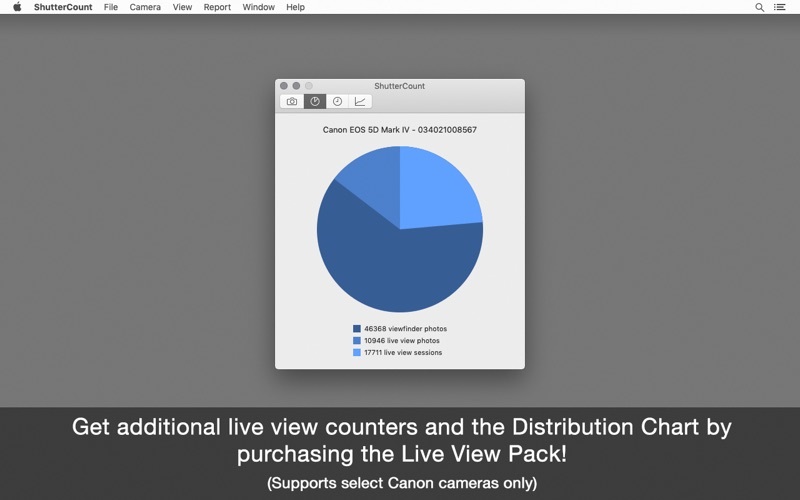 The app displays the count for still photos by default - purchase the optional Live View Pack to get additional counters that also cover videos. The Live View Pack is available as an in-app purchase for the following Canon camera models: Canon EOS-1D X Mark II, 5D Mark II, 5D Mark III, 5D Mark IV, 5DS, 5DS R, 6D, 7D Mark II, 70D, 77D, 80D, 100D, 750D, 760D, 800D, 1200D, 8000D, 9000D, Kiss X7, Kiss X8i, Kiss X9i, Kiss X70, Rebel SL1, Rebel T5, Rebel T6i, Rebel T6s, Rebel T7i. 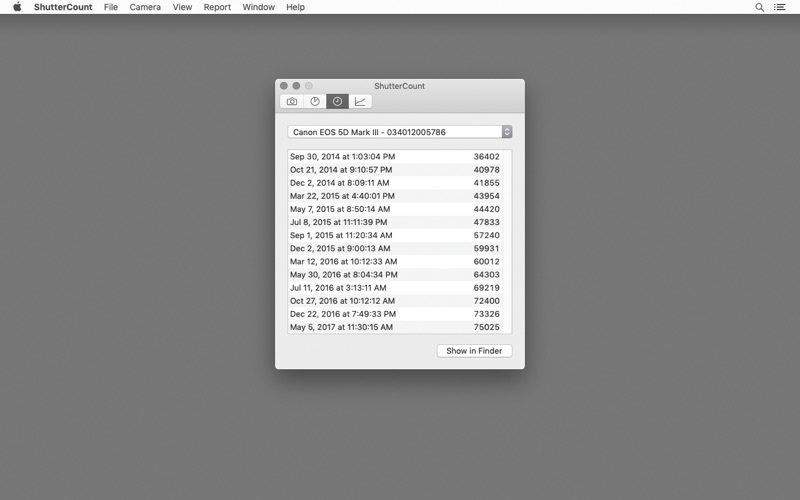 • "Copy Report" creates a more detailed shutter count report when either the Live View Pack or the Plus Pack is purchased. • Corrected the month display on Graphs when the data spans more than 5 years.